October 16, 2017 | Elsie Gonzalez, Esq. It is not unusual to question whether a litigant seeking a final domestic violence restraining order is permitted to testify about a prior domestic violence restraining order that was dismissed when outlining a couple’s prior history of domestic violence for a court. In M.D. v. P.D. (A-2054-15T, October 13, 2017), an unpublished opinion decided this week, the Appellate Division upheld the trial court’s decision to allow the plaintiff to testify about the acts of domestic violence that were in a previous domestic violence complaint that had been voluntarily dismissed when the parties entered into a consent order agreeing to impose civil restraints against the defendant. The plaintiff filed two domestic violence complaints against defendant. The first was predicated upon an incident that happened in February, 2015. The plaintiff alleged that the defendant was calling her and sending text messages nonstop and showing up at her place of work repeatedly. The plaintiff also claimed that the defendant put a GPS tracker on her vehicle without her knowledge or consent. The plaintiff claimed that the defendant accused her of having an affair and threatened to have inmates at Rahway State Prison “take care” of the man with whom he thought the plaintiff was having an affair. The first restraining order was dismissed by mutual consent of the parties. Instead, they entered into a Consent Order imposing civil restraints against the defendant. This is NOT, however, the same thing as a final restraining order entered by a court upon a finding of domestic violence. In October, 2015, the plaintiff filed a second Domestic Violence Complaint against the defendant. The plaintiff claimed that the defendant called her on her cell phone, accused her of having an affair with her boss and threatened to do something about it. The plaintiff also claimed that on a date the defendant was to have parenting time with the parties’ daughter, the defendant arrived an hour early and entered her home uninvited, which alarmed the plaintiff. After he left her home, the defendant called the plaintiff and told her, “I’m the man, nobody else; I wear the pants. I’m the child’s father, nobody else.” The plaintiff further alleged that the defendant on another occasion canceled his parenting time with their daughter, yet when he discovered that the plaintiff was going to go to a bar to socialize, the defendant showed up to that same bar – with the parties’ ten-year-old daughter in tow. The Appellate Division upheld the trial’s court’s ruling and endorsed the trial court’s decision to consider the events of the first domestic violence complaint plaintiff dismissed in exchange for civil restraints. This case illustrates considerations that must be given when litigants are considering not having a domestic violence hearing and instead entering into a consent order for civil restraints, which such orders are not enforced by the police or penalize for non-compliance the way violation of a domestic violence restraining order is. However, this case makes clear that entering into a consent order for civil restraints and agreeing to dismiss a temporary domestic violence restraining order is not construed as the equivalent of a court determination that a domestic violence restraining order was not warranted in the earlier instance. 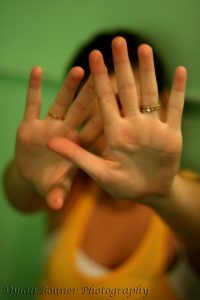 When considering domestic violence allegations, the Prevention of Domestic Violence Act requires a court to consider prior acts of domestic violence, and it is important in a domestic violence complaint to include all prior instances of domestic violence, even if they were the basis of a prior domestic violence complaint that was voluntarily dismissed before.